Get inspired to make a burlap wreath to celebrate the summer holidays. Burlap wreaths are surprisingly easy to make. You can have a beautiful craft completed in just a few hours! 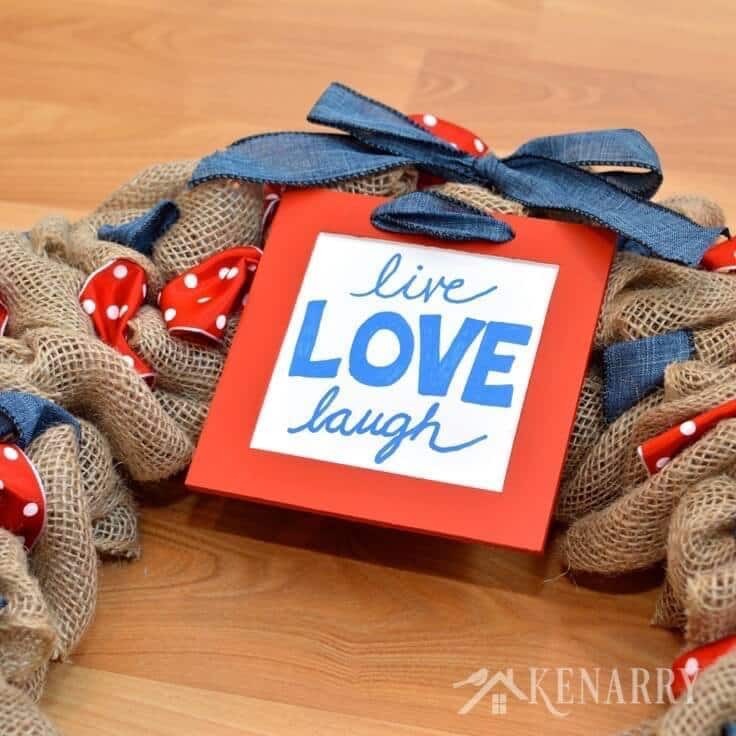 The Red, White and Blue Burlap Wreath idea I’m sharing today weaves two different accent ribbons with rustic burlap for a folksy yet fun appearance. 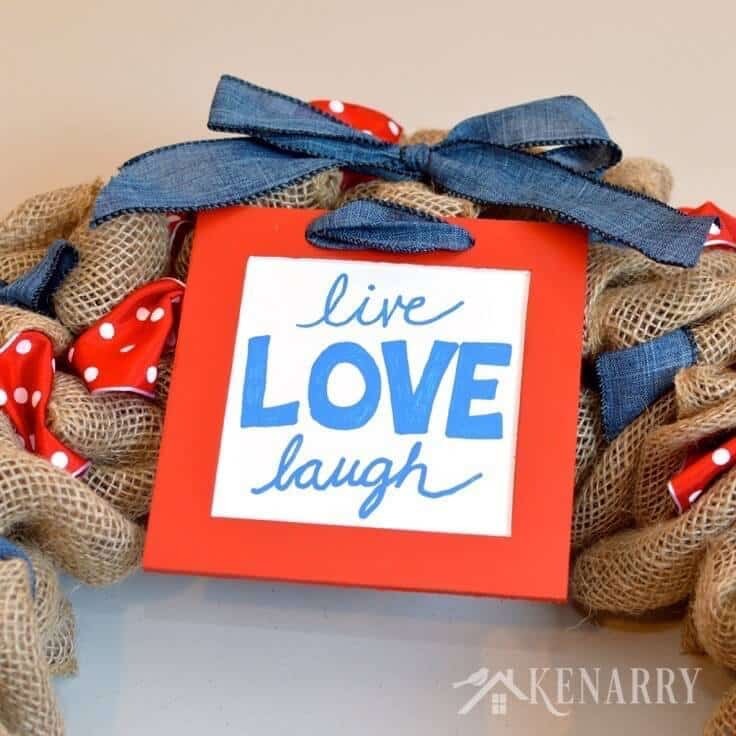 The red with white polka dots and blue denim ribbons make it great for celebrating Memorial Day, 4th of July and other patriotic holidays in your home. Summer is just around the corner, bringing with it a whole host of wonderful patriotic holidays here in the United States. It can be so festive to decorate your home in red, white and blue to celebrate Memorial Day, Independence Day and Labor Day. 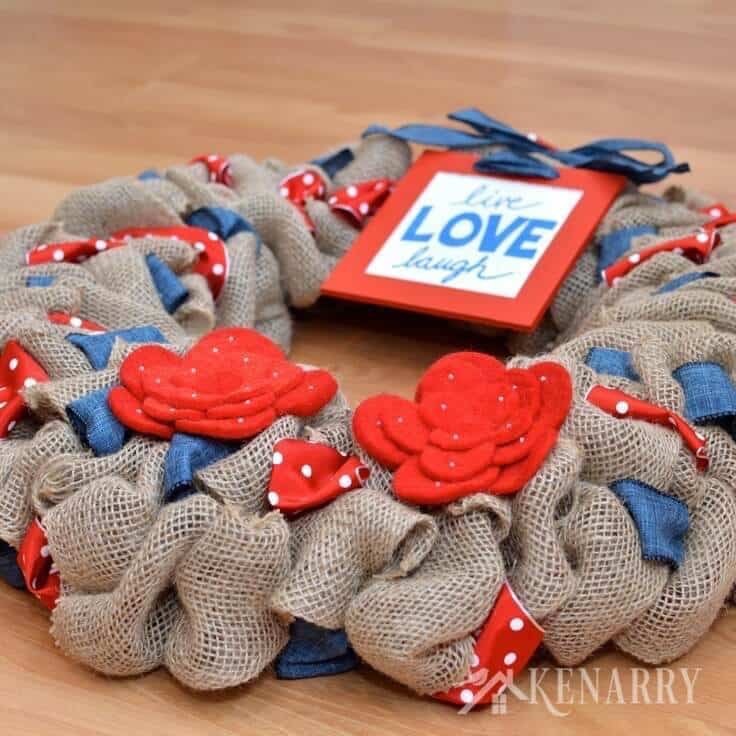 The burlap wreath idea I’m sharing today mixes rustic burlap and denim with red and white polka dot ribbon for a beautiful craft piece you can hang in your home all summer long. Burlap wreaths are surprisingly easy to make. I can whip one together in just a few hours while I’m watching a movie or catching up on my favorite TV shows. 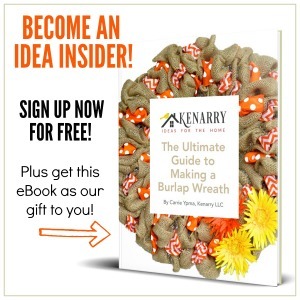 I shared a full tutorial for how to make a burlap wreath on Kenarry last summer and encourage you to check out that post if you want the nitty gritty step-by-step details. You may also enjoy the three ideas I shared for fall burlap wreaths last September. 2. Paint the sign. I found this unfinished wood sign at Hobby Lobby, but you could get the same effect from any unfinished square or rectangular wood sign. 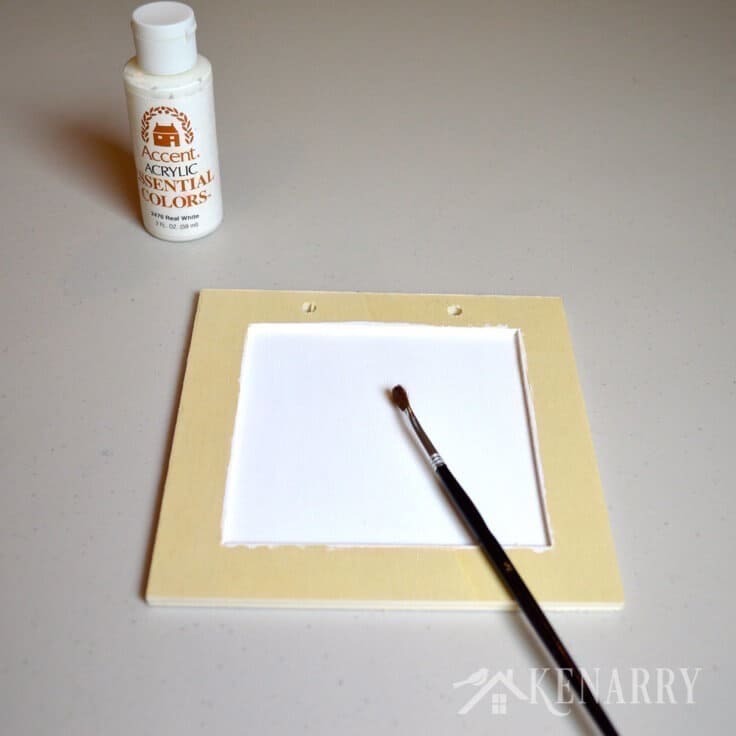 Paint the inside of the wood sign white. You may need to apply a few coats to get complete coverage. 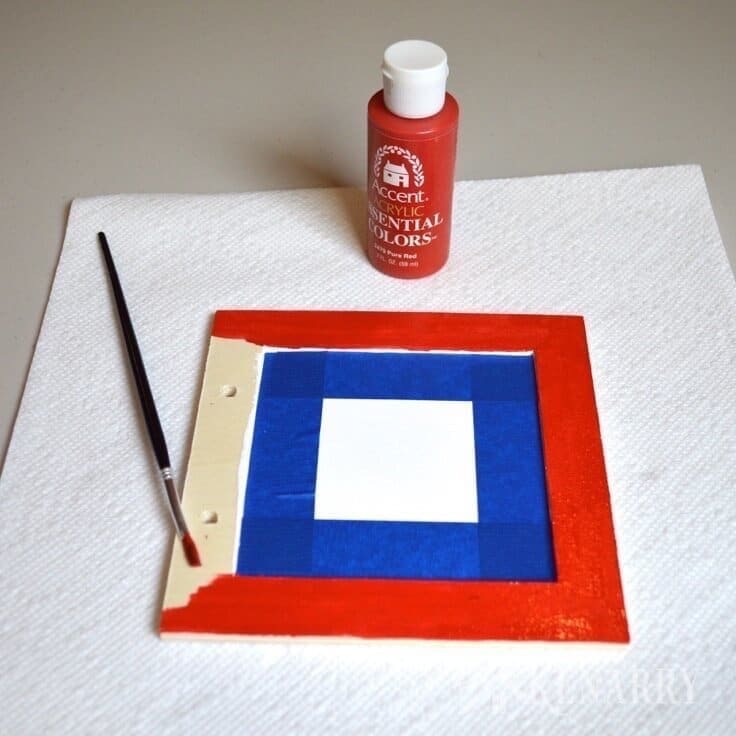 Next, once the white paint is completely dry, use painter’s tape to protect it and create a frame around the edges. Paint the frame red. Again, you will likely need to do a few coats. Once you’ve written your message in pencil, trace over it with the blue paint pen. 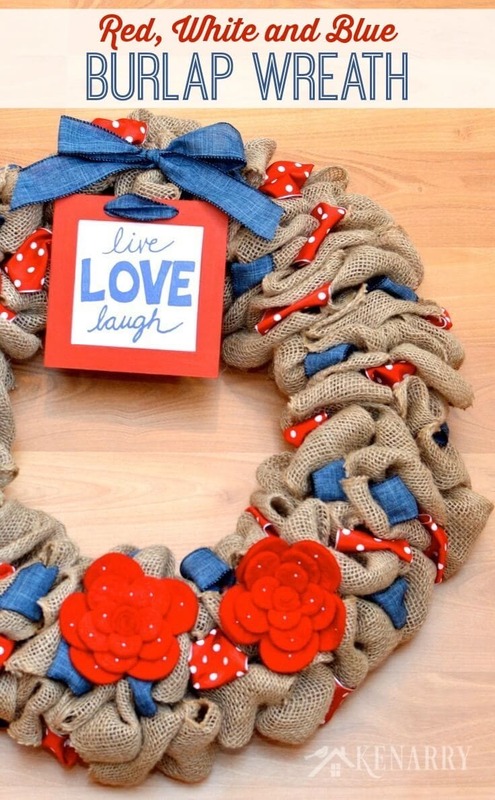 When the sign is dry, tie it to the top of the burlap wreath with denim ribbon. 3. Add the felt flower accents. The red felt flowers I found on clearance at Hobby Lobby are really the highlight of this wreath for me. I just love the way they’re layered and have those tiny little beads. Using a hot glue gun, apply a good amount of glue to the back of the felt flowers one at a time. Add the flowers to the burlap wreath pressing a little of the burlap to the back of the flower to hold it securely in place. Just be careful not to burn your fingers! 4. 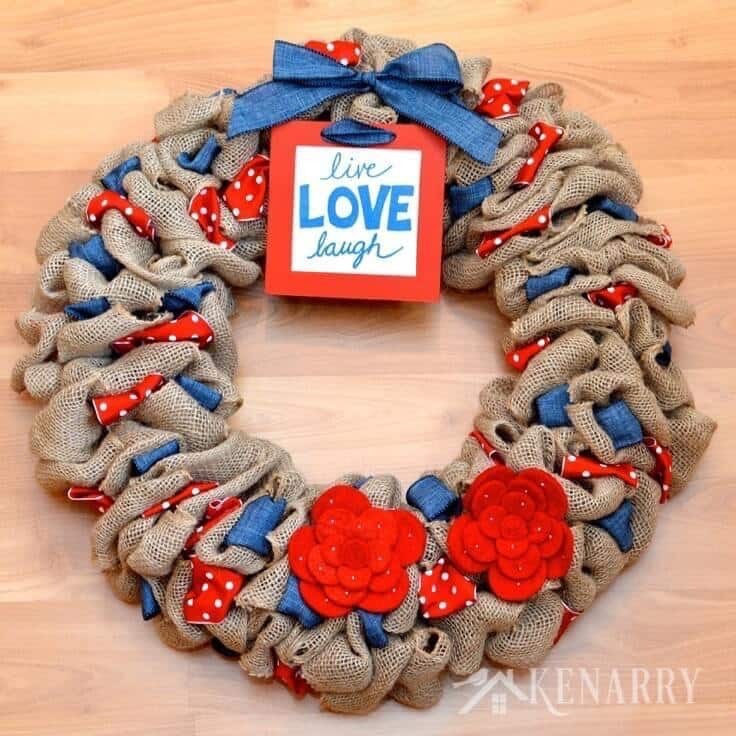 Hang and enjoy your burlap wreath. To hang the burlap wreath on a wall, you can hang the wire wreath frame directly on a long nail. Or you could add a loop of denim ribbon to the back of the burlap wreath and use that to hang the wreath on your wall. Either way, you now have a beautiful piece of patriotic home decor to celebrate all those red, white and blue holidays this summer! That’s definitely what it should have said, Ali! I actually made it for an auction at a charity event, so I thought something a little more generic like “Live, Love, Laugh” would go over better. What a cute wreath! Love the idea of the wired ribbon mixed in with the burlap. Pinned. Stopping by from Inspiration Monday. Thanks, Kimberlee! Burlap wreaths are one of my favorite crafts to make these days – especially with all the different wired ribbon options available. 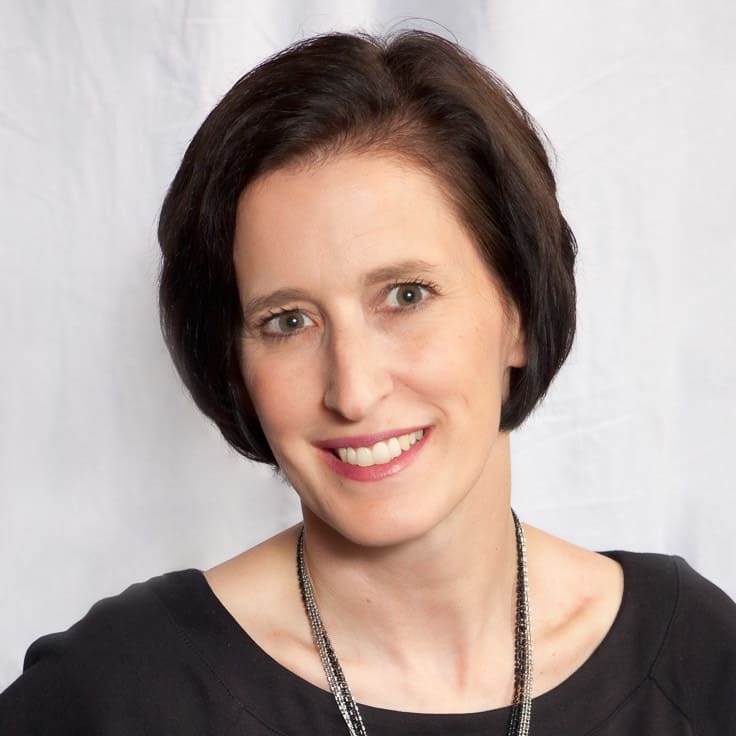 Thanks for coming by from Inspiration Monday! What a cute wreath! Thank you for partying with us at the Thursday Favorite Things Blog Hop! Thanks for coming over from Thursday Favorite Things to check out the wreath, Debi! We appreciate it! Yay! Yay! Yay! You made our day! 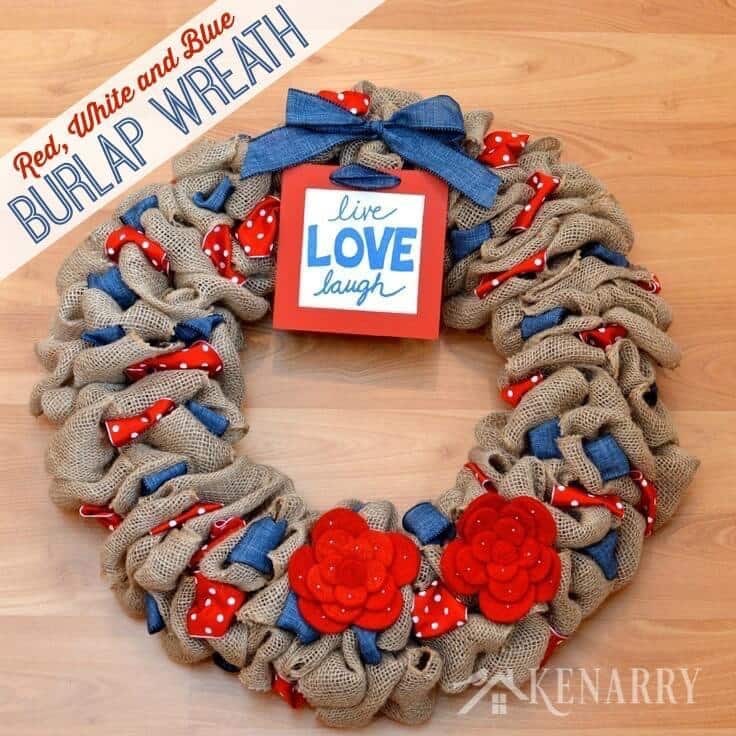 Thank you so much for featuring our Red, White and Blue Burlap Wreath this week, Kathryn. We’re so excited! Thanks Lou Lou Girls! We’re so glad you loved it enough to share via Pinterest and Twitter. Thank you so much! You and your daughter should make one, Kristi! I’d love to see a picture if you do. Thanks for stopping by. Perfect colors for summer holidays, don’t you think? Thanks, Cathy for coming by to see the wreath!